An outside consultant hired by the White House to assess the Department of Energy’s hot-button green energy loan program suggests the agency hire a “chief risk officer” to better track companies backed by taxpayer-funded loans. 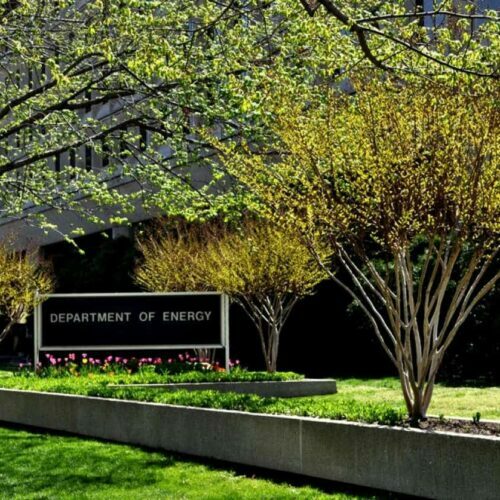 “To enhance the independence of the oversight function, DOE should create a new Risk Management department,” wrote Herbert Allison, the independent consultant. That conclusion is among the core recommendations detailed in the 75-page report, released Friday afternoon. The report was intended to help resolve concerns triggered by the political backlash over the Obama administration’s failed $535 million investment in upstart solar firm Solyndra, which declared bankruptcy last fall. But the review never directly addresses Solyndra’s failure, or another DOE-backed green energy venture that went bankrupt, Beacon Power Corp.
Allison, a longtime official in the public and private sectors who most recently served as Assistant Secretary of the Treasury for Financial Stability, writes that he “did not evaluate the loans to Solyndra and Beacon” because those companies have already failed. He also notes that his review was less exhaustive than it could have been because it was put on a 60-day fast track by the White House. The report evaluated 30 loans, worth $23.4 billion, that closed by late November 2011. Of that, $8.3 billion, or 35 percent, had been drawn down. The money helped bankroll projects ranging from alternative energy and solar manufacturing ventures by startup companies to fuel saving projects launched by major corporations such as Ford Motor Co. and Nissan North America, Inc.
Of that portfolio, DOE had put aside $2.9 billion to cover potential risk. Allison’s review set that risk value at slightly less, $2.7 billion. Rep. Henry A. Waxman, the ranking Democrat on the House committee that has been investigating the Solyndra financing and the loan program more broadly, also greeted the report as a sign that the administration’s program is working. “The report is a repudiation of the partisan attack on the program by congressional Republicans and the oil and coal industries,” Waxman said. Republican members of Congress leading the investigation see things differently. Along with creating a chief risk officer, he suggests a new Risk Management unit be created – and that it be separate from the Loan Programs Office and report to senior DOE management. And, the Energy Department should establish an “early warning system” to spotlight major problems early in the process. Michigan’s emergency manager law grants sweeping powers to unelected officials.